Raise your hand if you like to buy in bulk. 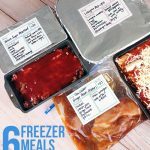 Here’s everything you need to know to turn six pounds of ground beef into crockpot freezer meals in 50 minutes or less! 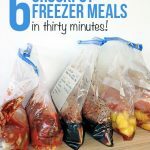 Last week, I shared how to prep six chicken freezer crockpot meals in 30 minutes. We like to eat a variety of meat, so this week I bought six pounds of ground beef and turned it into six crockpot freezer meals. 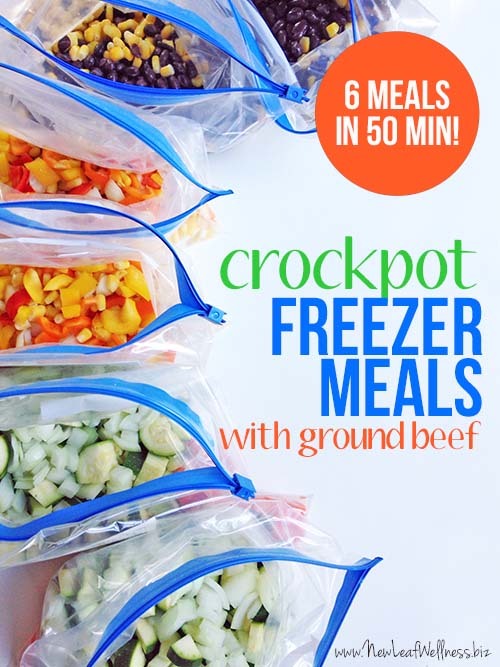 What’s so great about these ground beef crockpot freezer meals? They’re healthy recipes that your family is sure to love. 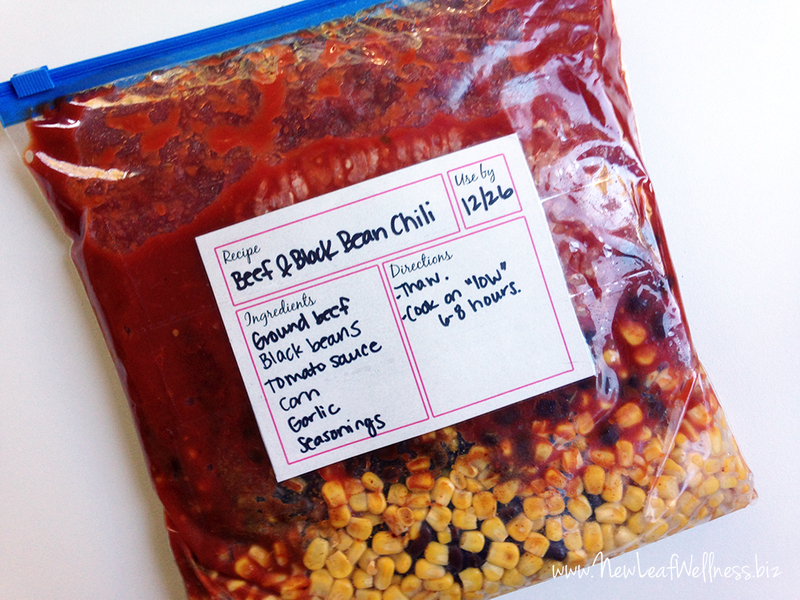 You can take advantage of sales and buy the ingredients in bulk. In 50 minutes time, you’ll have six dinners waiting in your freezer. 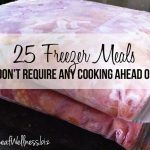 I froze all of my meals raw, so they were very easy and quick to prep. Plus, they’ll cook for the first time out of the freezer and won’t taste like leftovers at all. Wahoo! If you’re nervous about mixing raw meat and vegetables, check out this info from the USDA Food Safety and Inspection Service. I did a lot of research when I was writing my No Cook Freezer Meals cookbook and learned that freezing to 0 °F inactivates any microbes present in food (such as bacteria, yeasts, and molds). That means freezing raw meat with vegetables, sauces, and spices is perfectly safe. I measure all of the recipes in my No Cook Freezer Meals cookbook and calculate nutritional info, but I don’t do that in everyday life. I would guess that the beef vegetable soup and black bean chili will feed 4-6 adults and the Mexican chili with cornbread topping will feed four. I had the spices on-hand and bought everything else at ALDI for $56. The ground beef was $4.99 per pound. Finding a cheaper price for meat would definitely cut down on the cost. If you’re a regular reader, you might notice something different in these pics. I usually use these freezer bags (affilliate link), but I’m testing out ALDI’s. I’ll let you know what I think. I do all of my shopping ahead of time. If possible, even a day or two in advance. I print my recipes so I don’t have search for them on my phone/computer/tablet. On the prep day, I get out all of the necessary ingredients. I prep the veggies first. This step takes the most time, but it makes me so happy to prepare healthy meals for my family. Then, I open all of the cans and work in an assembly line to fill the bags with their vegetables, beans, spices and sauces. I add the ground beef to the freezer bags last so it’s the first ingredient poured into my crockpot. Seal, freeze, and thaw before cooking. Easy, I promise! Is there any reason you couldn’t just put this in the crockpot frozen? You’d probably have to cut it out of the bag, but would save time or help if you forget to take it out the night before. The USDA Food Safety and Inspection Service recommends thawing meat before cooking in the crockpot. I know a lot of people cook frozen meat in the crockpot, but since it is not recommended, I don’t. If I forget to thaw a meal, I set the bag in water until it thaws enough to break apart and add to the crockpot. Visiting from Moneysavingmom : ) Thanks for your post, I was looking for some yummy new ways to use the last of our peppers and zucchini from the garden. As a FT working mom of three little girls, crockpot meals save me! I bet! Definitely try the soup. It’s one of our faves! 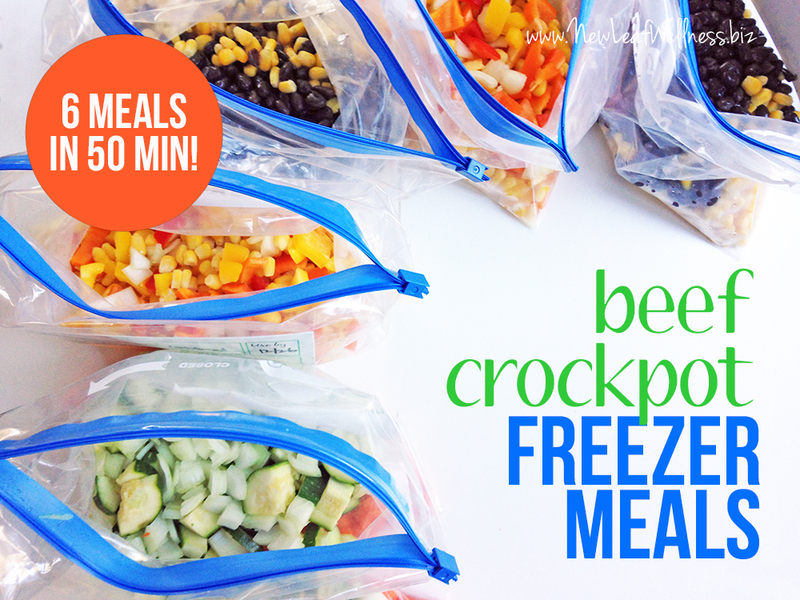 Thank you for sharing these freezer meal plans! I pulled together the chicken meals yesterday and while it took me longer than 30 minutes, it was very exciting to have my freezer filling up again. One thing I did notice, these recipes will need to be doubled in the future, for my family. I am taking that into account for these beef recipes. Great. Thanks for the update, Michelle. Hope you love the recipes! Thanks for the info, Kelly! 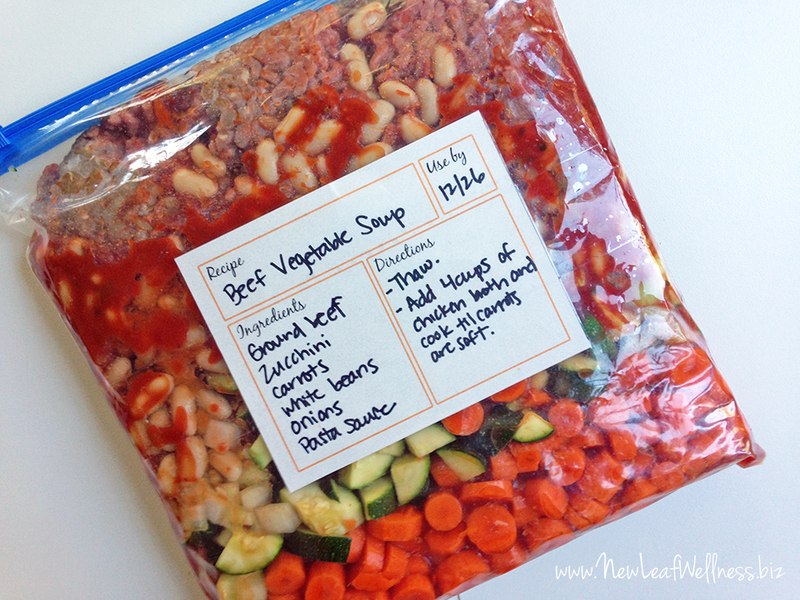 I am trying to do some freezer cooking today (still new at this) and was wondering if I could mix up meals with raw meat like this beforehand. So, I am now going to get off the computer and go do it! Just one question – you write a “use by” date on the top of your bags. How do you figure out what your “use by” date should be? Definitely, the best thing to do is jump right in! For the “use by” date, I write three months from when the meals are prepped. No browning of the ground beef before hand huh? I’ve never done that before. Try it, Riann! The texture is slightly different but we still love the taste. For me, it’s totally worth it to save the time. Yay! I’m so glad you tried it! Thanks for letting me know. What do you do about the grease from the beef if you cook from raw in the crockpot? Even when buying the leanest ground beef possible (93/7) there is still fat that I typically drain off when browning on the stove. Doesn’t that add a lot of unnecessary fat to your meals? Nope! I can’t explain it, but there’s never any noticeable fat or grease. I bought really lean beef and it wasn’t greasy or dry. It was great! 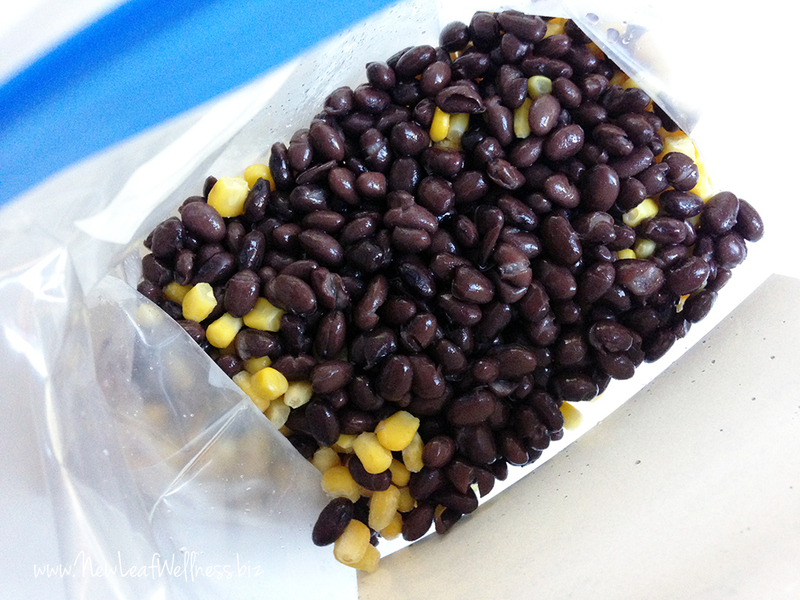 What is the best way to thaw a frozen bag without a microwave cooking it? I usually thaw in my refrigerator overnight. If I forget, I thaw the bag in cold water.